I really enjoyed reading this book and how funny and sarcastic Poppy is. BUT, the grammar mistakes were really annoying. It isn’t just one or two either, there’s several in each chapter and for a paid book, it’s a little disappointing to see them...also, it seemed like someone choked on their drink every paragraph...other than that it was a fun read. Yet another great read from Emma Hart! Every style of book that she writes are always enjoyable, engaging, and leave you hooked. Poppy is pretty much the black sheep in her family, doing life at her own pace and to the beat of her own drum. 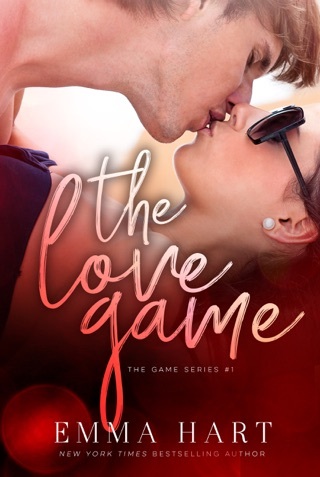 After a drunken night, she decides the best method to handling a weekend with her family is to have a fake date, which she finds through a one night stand, and with her luck ends up agreeing. Along with Poppy’s luck is that she doesn’t know exactly who her date is, and soon realizes this with minutes and neither of them truly understand what they got themselves into. Naturally, Adam found exactly what he never thought he was looking for – someone who did not recognize him or be interested in him because of his career or net worth. This ends up being a story of what happens after a one night stand where they don’t necessarily walk away and never see each other again. I truly enjoyed the character of Poppy as she was her own person no matter what her family or society wanted or demanded of her. She is independent and different than most female characters in books, which is something Emma does so well with providing. The story line doesn’t end past those four days, making it a more realistic situation, while also showing Poppy’s independence through her personality. In the end, Poppy and Adam end up together, but it’s done in a more realistic way than other similar reads. This is the perfect romcom to put a smile on your face and make your day better. It will make you laugh, swoon and all around smile. The characters are perfect and perfect together. Who knew a one night stand and omelette could lead to such perfection?! I highly recommend this feel good, laugh out loud book. It may encourage you to buy some fun t-shirts too.